Experience the early days of the Terran Alliance and lead humanity's first steps out into the galaxy. Destiny might be calling, but you are not alone and will soon discover that not every race is welcoming. 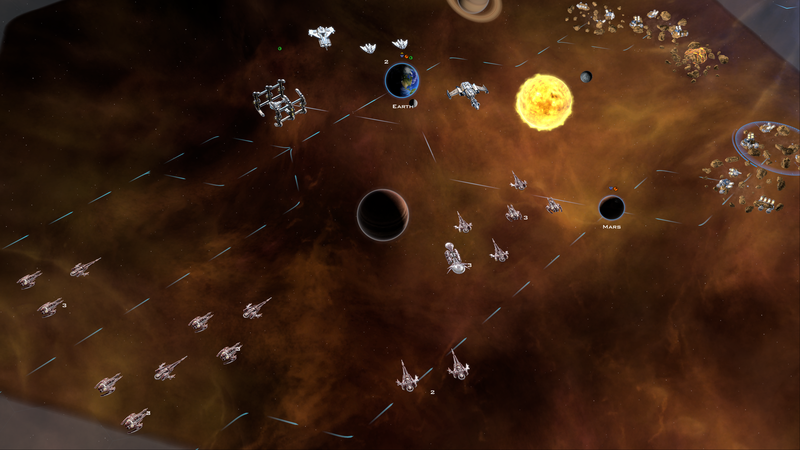 build your empire, and explore the furthest corners of space. 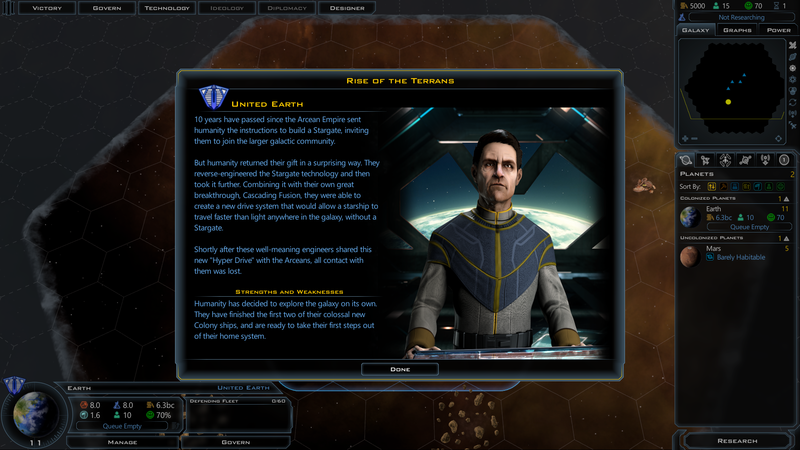 The new "Rise of the Terrans" DLC is now available on Steam or through Stardock. Island Dog, will this new faction and features be playable in Sandbox games or only in the campaign? I just started a new sandbox game with the new faction. Only Founder Elites get the extra content for free. You may need to restart your Steam client for it to pick-up on the addition. It worked- I'm just an idiot and read the game wrong since I haven't played in a few months. Sorry! Are the xendar menace and guild mega events? So a simple question. If I start a typical sandbox game will I be able to play with this faction as well as the regular Terrans? ie there's now 12 stock AI factions to use rather than 11 previously? 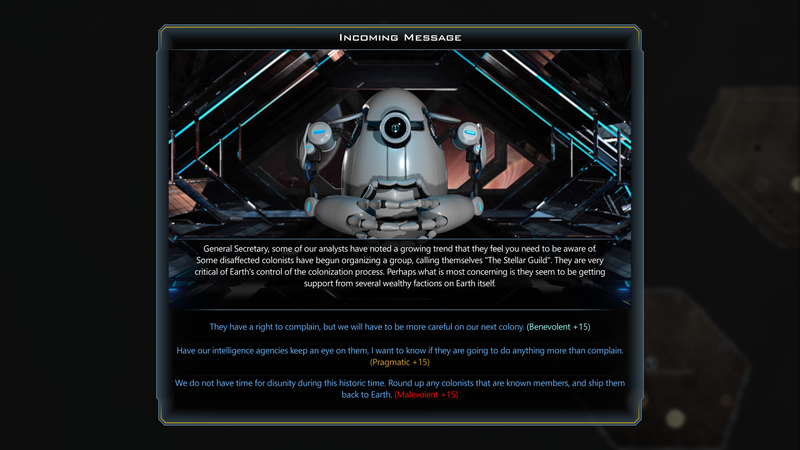 Yes, you can play as the United Earth in sandbox, and make custom races with it's new Ability. Though it can be a bit confusion if you play against the Terran Alliance. Though it can be a bit confusion if you play against the Terran Alliance. - a pair of very wise engineer, simultaneously. I'm guessing not, but I definitely support this as an idea. I had hoped to see a new ship style with earth's earlier models of spaceships, so you can see a difference between them and the current Alliance's ships as I doubt they have looked the same all these years. I like the idea of a new earth-based faction, and any early version of any faction is welcome (but my above nitpick remains). 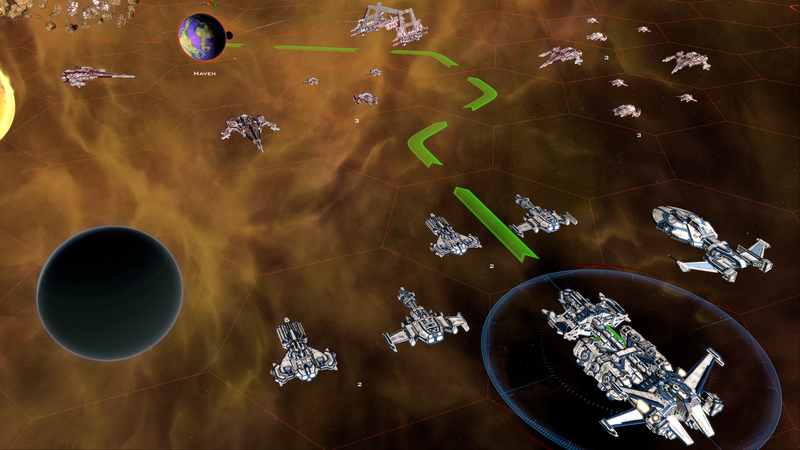 Also, encountering two earths in a randomized game is an interesting sci-fi theme. Dimensional paradox? Time paradox? Maybe one is actually inhabited by clones, but which one? Did some precursor tech go haywire and do something crazy? Mystery! Intrigue! Get into the Space Taxi, say "Driver! Take me to Earth!" Stupid driver takes me to Earth, not Earth. Idiot. 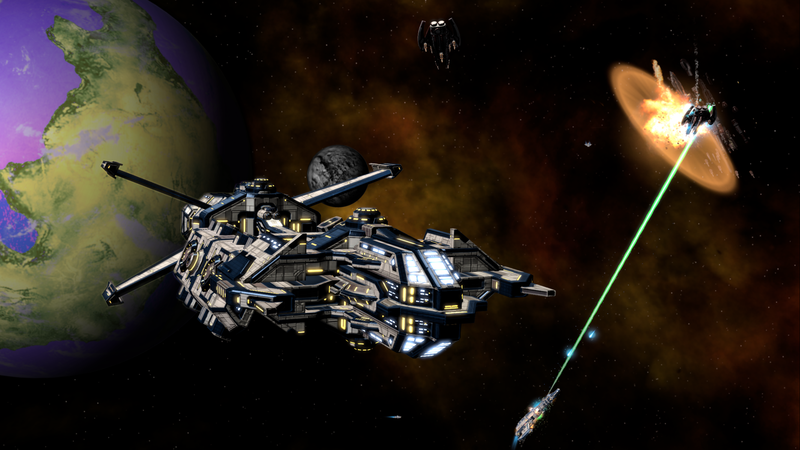 Awesome DLC - thank you Stardock! I too agree that at some point down the road there should be a different ship style for the new faction (perhaps Star Trek original series feel). But ships aside, there should be a new logo right away. Even if the colors were inverted or something. The logo needs to be unique - otherwise it becomes much too confusing. Edit: Silly me... It seems they do have their own logo. BEAUTIFUL!